Even people who don't send many packages via FedEx should welcome the news today that the company is doing better. The shipping business tends to correspond when the overall economy -- when things are looking up for businesses overall, they send more stuff. Many investors look to FedEx (FDX)'s quarterly earnings reports as a yard stick of sorts. 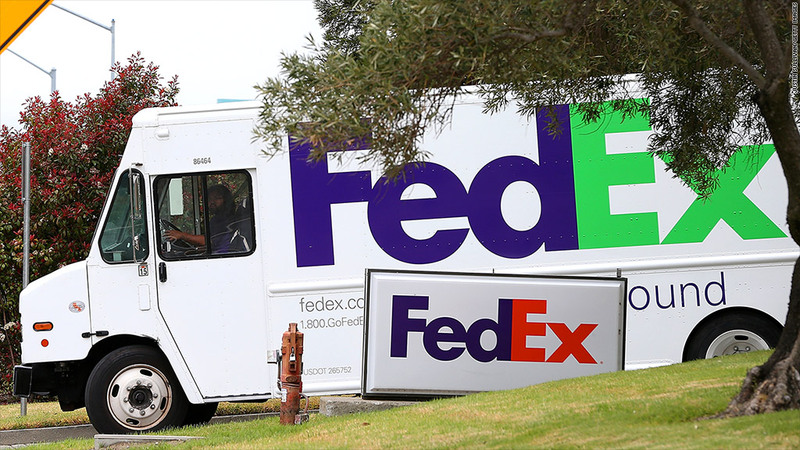 FedEx beat expectations in its most recent quarter. Revenue and profits are up and expenses are down. It doesn't get much better than that for a company. Chief Financial Officer Alan Graf offered an even rosier portrait of how the company might fare next year. "Fiscal 2014 was a good year for FedEx, and we expect fiscal 2015 to be even better," he said in a statement. Revenue increased 3.5%, while expenses fell 2.5%, helping the company eke out just a bit more profitability for the quarter. This is a big change from recent earlier in the year when the company struggled with the harsh winter weather, fuel costs and the ongoing issue of declining international traffic. FedEx said that it has been handling more U.S. packages in both its express and ground categories and that international "priority" volume has stabilized. "The short answer is that the reason why we had the margin improvement over the third quarter is we stopped plowing snow. That's a simple answer," FedEx Ground CEO Henry Maier reiterated on a call with investors Wednesday. Investors welcomed the news, sending the stock up about 5% Wednesday. FedEx even went as far as to give its own forecasts for economic growth in the coming years, predicting 2.2% for U.S. growth in 2014 and 3.1% for calendar 2015. "We do expect global trade will pick up...and when it does we have the best, fastest, most global network out there and we should benefit from it," Graf told investors. In a particularly good sign for the overall economy, FedEx executives said they are seeing more volume from small and midsized businesses. In order to keep up with rising demand, the company said it would boost capital spending by 20%, including an updated fleet and an expansion of its ground network.